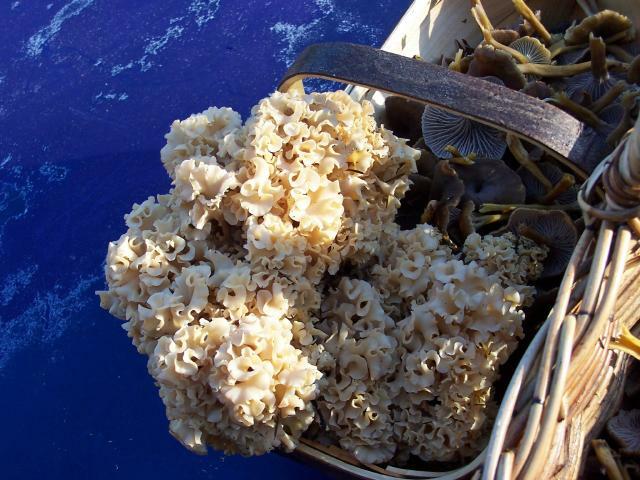 Or Brain Fungus- Sparassis Crispa. Edible when young, season autumn, must be thoroughly cleaned. This mushroom found 18/11/06 near New Milton in the New Forest. Edible and excellent. Season, summer to autumn. Habitat, Coniferous, broad leaved or mixed woodland. I have found mostly with oak. Found sept 06 near Lyndhurst. Glad you included that one - my camera still isn't fixed. Had problems with the car over xmas/new year, so I haven't been here much! ... can someone post a picture of a 2007 morel? Esculenta, elata or vulgaris - I just want to see one !!! 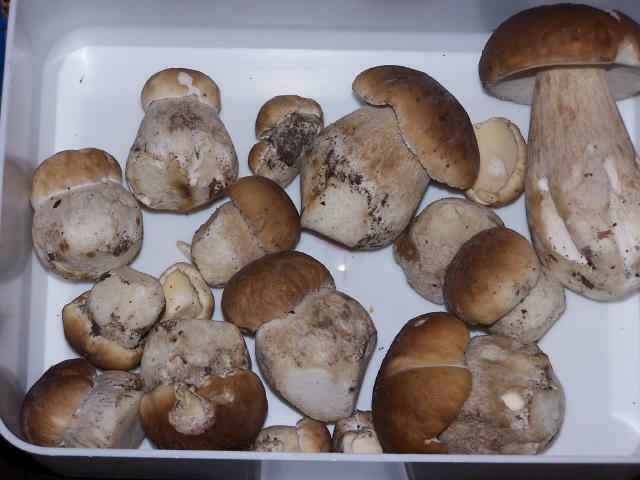 Where is the picture of St Georges mushrooms that someone posted recently? I can't find it. Here are a few pics of a Larch Bolete (Suillus grevillei) found under larches (dur!). They�re tasty although a bit slimy. They smell good too. I think that the best way to deal with them is to scrape the surface off the top (which deals with the slime issue), then pickle them. We're drying some at the moment to see if that works as well. The small ones are nice. Glad you got it sussed Pete, welcome on board.